Easy to install, Easy to use, Easy to look at. 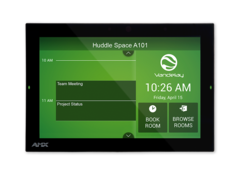 Michael Saadeh, Senior Manager for HARMAN Professional Enterprise User Interface Solutions demonstrates the highly intuitive, easy to use interface of Acendo Book Scheduling Panels. This video demonstrates how extremely simple it is to configure and install Acendo Book Scheduling Panels. 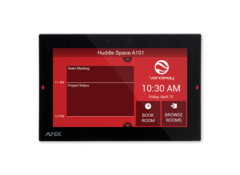 This video demonstrates the elegant industrial design and mounting options for Acendo Book Scheduling Panels. Acendo Book directly integrates and synchronizes with the most popular scheduling platforms, including Microsoft Exchange, Office 365, and Google Calendar, without additional software or configuration complications.